“We devalue people who are no longer productive in the capitalistic sense of the word,” the study researcher said. 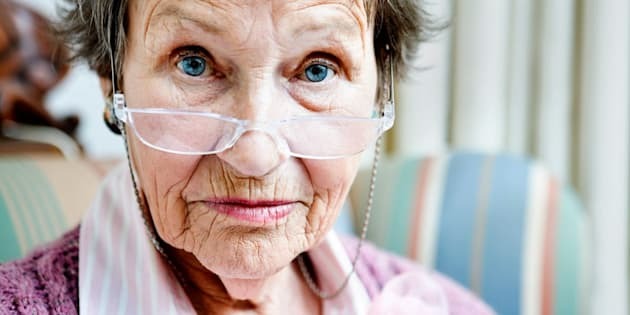 When the nurse calls your elderly parent “sweetie,” she may be doing it to be kind, but using “elderspeak” like this actually can be quite harmful, according to research published in Oxford University’s The Gerontologist. Elderspeak is characterized by a slow speech rate, exaggerated intonation, elevated pitch and volume, the intentional use of simple vocabulary and reduced grammatical complexity, changes in affect, pronoun substitutions (“how are we today?” instead of “how are you?” for example), diminutives, and repetition. And the bottom line is: Elderly people, especially those with cognitive issues, really don’t respond well to it. Research has shown that older adults with cognitive impairments who are spoken to in this manner are less likely to comply and do what is being asked of them and/or they will react negatively, usually by becoming agitated and yelling. The study by St. Mary’s College of California researcher Anna Corwin examined 100 hours of recorded interactions between Catholic nuns, who were cognitively impaired and between the ages of 81 to 92, and their caregivers, who were younger nuns. She told HuffPost that the nuns are not afraid of physical decline. Corwin considers the use of elderspeak to be part of our cultural disrespect for the older members of society. “We devalue people who are no longer productive in the capitalistic sense of the word,” she said. When elderspeak is used in a caregiving situation, she said, it distorts the patient’s self-assessment and triggers the sense that they are no longer competent or valued. Her work builds on previous research that found how older people are spoken to matters. A 2015 study documented how using elderspeak negatively impacts patients’ sense of well-being. These words, Williams told the Huffington Post, may be well-intended and meant to show kindness and affection. But what they actually do is “send a message to older adults that they’re not competent,” she said. Many nurses’ first jobs are in nursing homes. “They overhear the more experienced nurses talk like this and pick it up that way,” she said. “We try and get them to sit back and take the perspective of the older adult,” she added, speaking of the education classes she teaches for experienced nurses. In an interview with AARP, Williams said that caregivers are often unaware that they’re speaking in this way and are surprised when they see videos of themselves in caregiving situations. “They think that it’s showing that they care and that it will improve communication,” she said. But it’s not and it won’t, she added. And of course it’s not just nurses who need to be reminded that older people aren’t all hard-of-hearing or mentally incapable of understanding what’s going on with them medically. Doctors who speak to the caregiver and act like their elderly patient isn’t even in the room could use some reeducation as well, she noted. Taking it one step further, maybe we are due for a cultural change how we see and regard those in their 60s and 70s. Anyone for stamping out those “adorable grandparents” memes?